We trust that our alarm clocks will go off at the right time, but we don’t trust cars to turn right for us — but why? 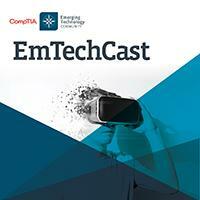 In this episode of the EmTech Cast, host Jim Hamilton talks with Maddy Martin of smith.ai about automation and trust, and how proper applications of artificial intelligence can free up time in our lives. “It’s clearing it off my brain and letting the technology do what it needs to do, and trusting that it will come back when I programmed it to,” Martin said. Listen for ways AI can create jobs instead of taking them away, how we can program automation to limit the variability of results and even translate languages in real time. Subscribe to the EmTech Cast to hear all the newest episodes, and learn more about Smith AI at https://smith.ai.